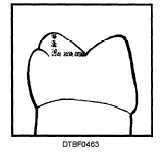 - The only tooth on which an oblique ridge is found is the maxillary molar. 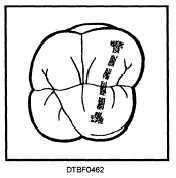 Consists of an elevated prominence on the occlusal surface and extends obliquely from the tips of the mesiolingual cusp to the distobuccal cusp. 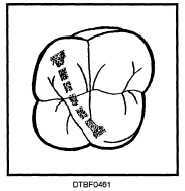 - The union of a buccal and lingual triangular ridge that crosses the surface of a posterior tooth transversely (roughly 90° to both the buccal and lingual tooth surfaces). lingual cusp ridge. 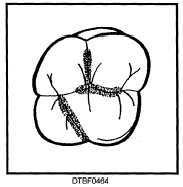 - An elongated valley or depression in the surface of a tooth formed by the inclines of adjacent cusp or ridges.